Housing Action Southwark and Lambeth support the migrant families resisting inhumane housing conditions in Southwark and Lambeth. No one denies there is a housing crisis in London. Well, no one apart from Southwark council, who instead have chosen to blame some of their most vulnerable residents for their housing situations. 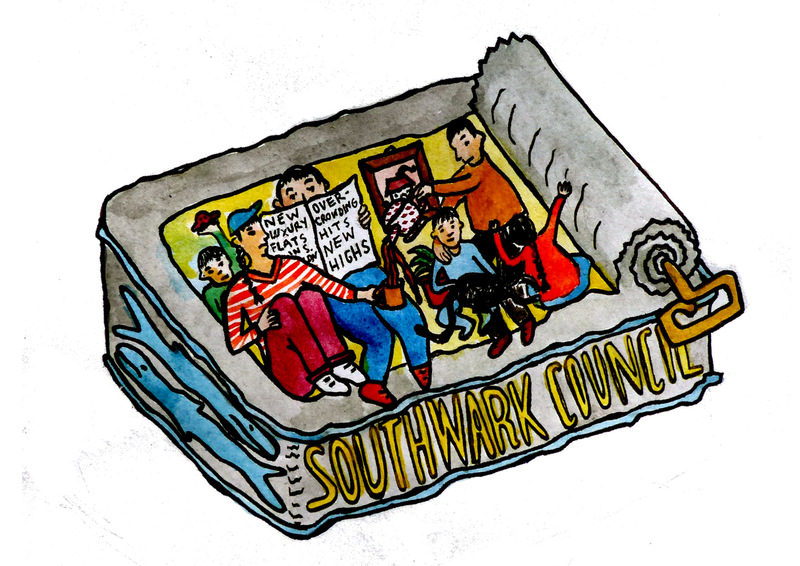 Members of Housing Action Southwark and Lambeth, living in statutorily overcrowded housing, were shocked to receive letters from the council telling them that their housing conditions had been caused by a 'deliberate act' by the families. Because the overcrowding was deemed a 'deliberate act' the council would not be giving them priority on the housing waiting list that they should be eligible for.